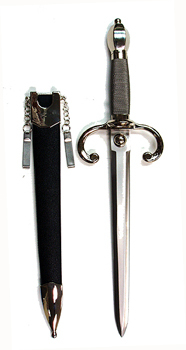 The style of dagger used with a rapier in fencing and dueling. Crafted of 440 stainless steel with cast metal fittings. Includes matching scabbard with belt clips.